Cold-pressed or centrifugal? Smoothies or shakes? Elixirs or tonics? These days, it’s hard to keep up on which potion we should be drinking. 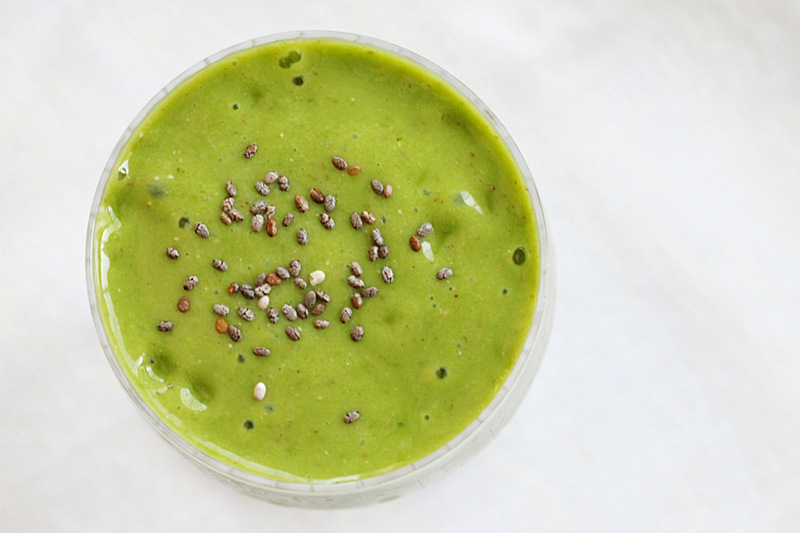 To simplify things, we rely on this fresh green smoothie that’s the perfect antidote for the how-to-get-my-greens-in dilemma. Unlike other plant-based shakes, this one has vegan protein—which makes it the perfect post-workout drink when muscles are in need of replenishment (tip: swap out berries for your favorite seasonal fruit, or water for almond milk). Blend in a Vitamix or high-speed blender. Drink immediately. Getting in the Easter mood with these cute Bunny Cookies, check out the easy recipe!